What? Your toilet isn't diamond encusted? 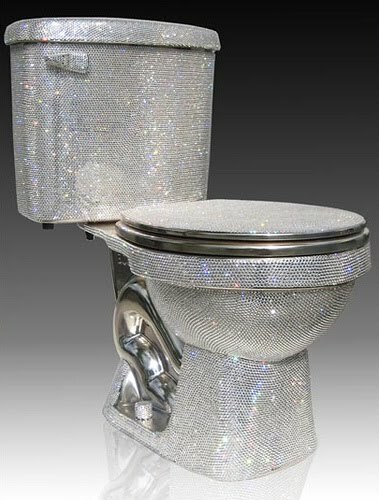 Toilet bling. There are no words. Alright there are. Jemal Wright Bath Designs offer a variety of pimped up bathroom fixtures and fittings, this one " fully handset with the world's finest Swarovski crystals". As you do. Wonder if they do bottles of toilet duck too. Ick.